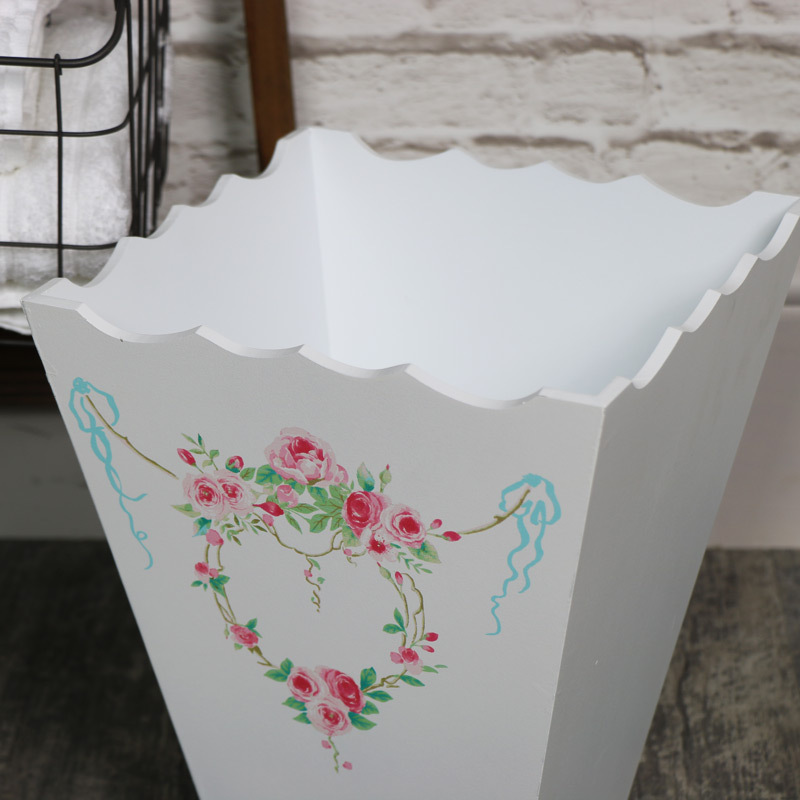 Pretty white & pink floral waste paper bin. Living room, bedroom, bathroom home decor accessory with shabby chic feel. Wooden, Painted in white with a pretty pink rose garland on the side, perfect for bedroom, bathroom or living room. This will add a lovely shabby chic, romantic feel to a room. Carved detailing surrounding the top. 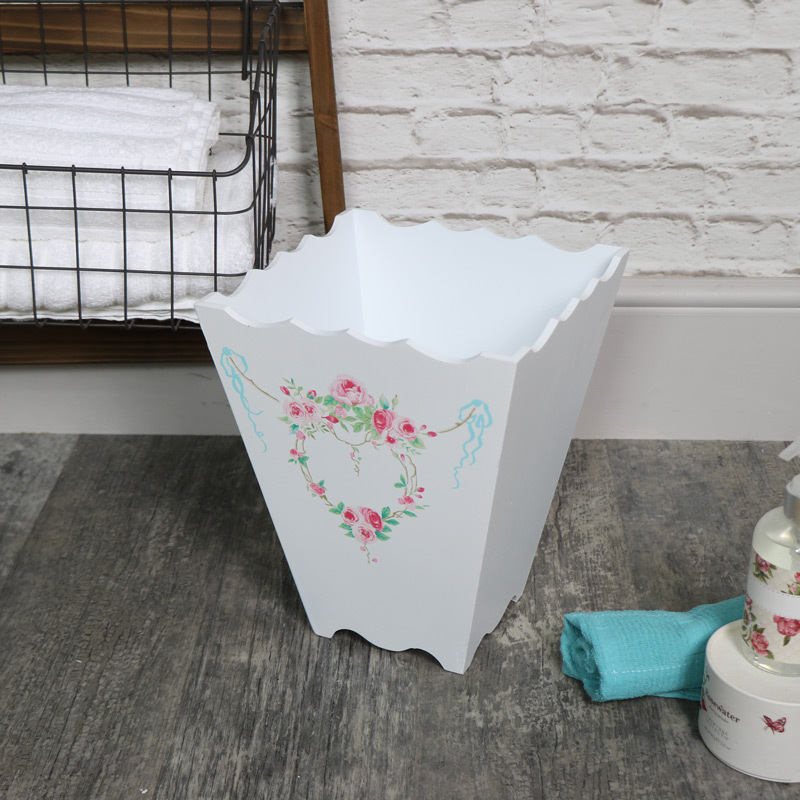 This waste basket will make a great home accessory. Small enough to keep out of the way but beautifully decorated to add a vintage to your decor. Pretty white & pink floral waste paper bin. Living room, bedroom, bathroom home decor accessory with shabby chic feel. Wooden, Painted in white with a pretty pink rose garland on the side, perfect for bedroom, bathroom or living room. This will add a lovely shabby chic, romantic feel to a room. Carved detailing surrounding the top. This waste basket will make a great home accessory. Small enough to keep out of the way but beautifully decorated to add a vintage to your decor. Contructed from wood and painted in white with floral detailing.